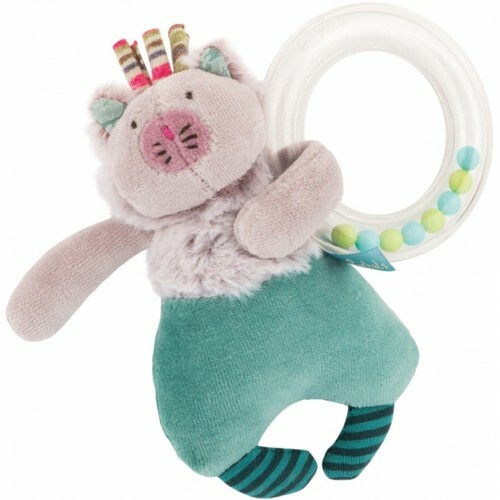 Here is a nice little fluffy grey and blue cat, holding a small ring filled with beads. This is a nice early learning toy that will attract baby's attention and stimulate his curiosity. The same rattle exists with a small grey and pink mouse instead of the cat.